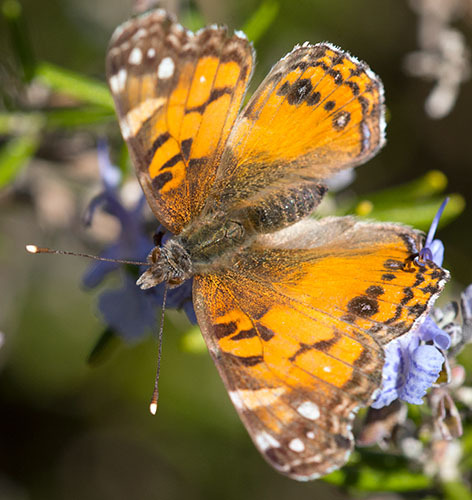 Welcome to my Texas Hill Country butterfly pictures page. I believe I have accurately identified the various butterflies here, but I would always appreciate confirmation or corrections. You can contact me here. See also Texas Hill Country Birds! and Starry Nights pictures. 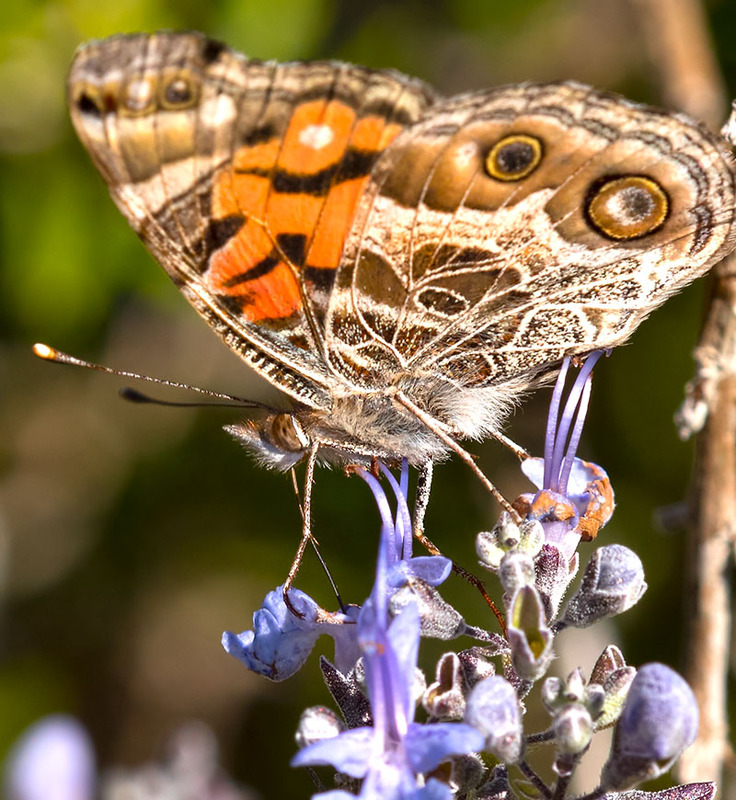 I have some extreme close-up butterfly shots here. My pimary butterfly page is here. Top View. Wimberley February 2016 trip. Nikon D750 camera with 200mm macro lens, 1/500, f11, ISO 640, mounted on a monopod. 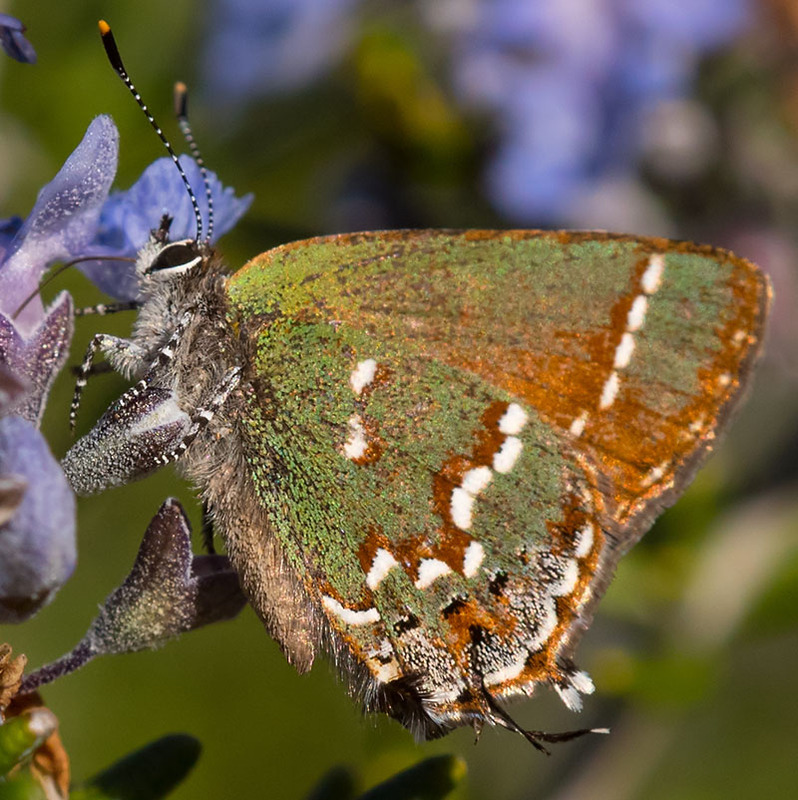 Here's a link to the bugguide.net classification. Side view getting after the rosemary flower nectar. February 2016, Nikon D750, 200mm macro lens, f8, 1/1600, ISO 800, monopod mounted. Hodges#4447 (Euptoieta claudia). February 2016, Nikon D750, 200mm macro lens, f8, 1/1600, ISO 800, monopod mounted. There's another picture and classification info at this link (takes you to bugguide.net). 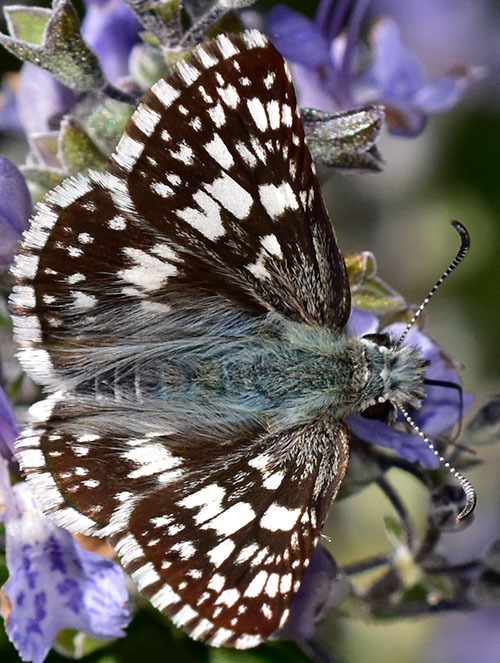 Cliff from bugguide.net advises: Either Common or White Checkered Skipper which are identical except by dissection. Since the location is at the range edge overlap, this specimen can not be ID to species by phenotype. The bluish basal area is common to males. Nikon D7200, 200mm macro lens, f10, 1/1000s, ISO 500, SB-800 fill flash. I spot-metered at -2/3 stop, with the fill flash set at about -1 2/3 stop, which is a typical setting. 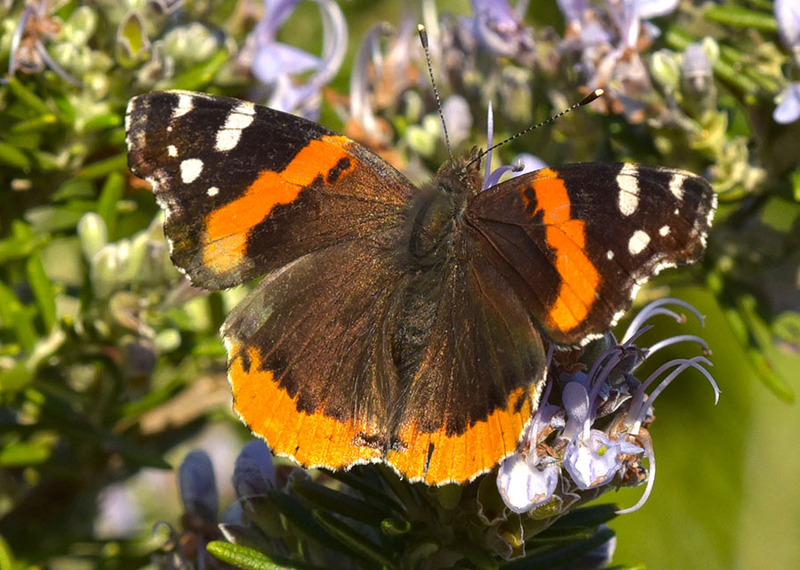 There's one of these on the butterfly close-up page. 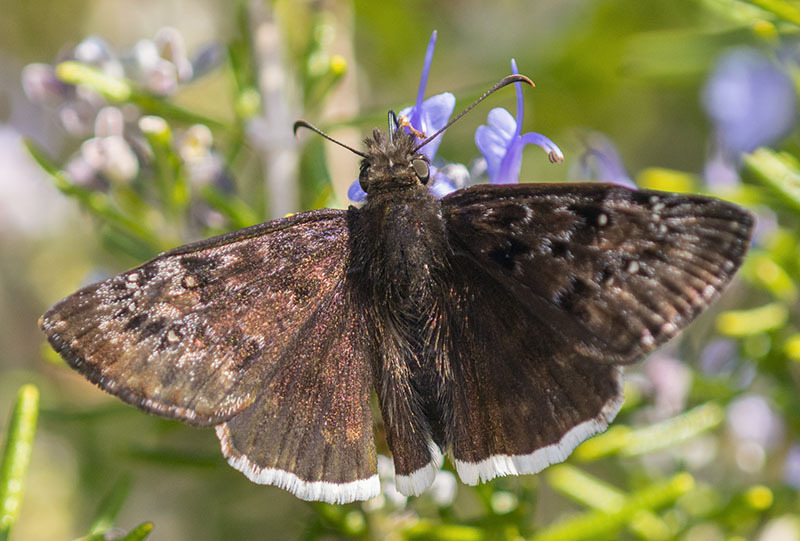 September 2016, change from Funereal Duskywing (Erynnis funeralis) to Mournful Duskywing based on further consideration from the experts! Here's the link to bugguide.net classification and discussion. This is a new-to-me species from the February 2016 trip. Nikon D7200, 200mm macro lens, f5.6, 1/1000, ISO 500, SB-800 fill flash. 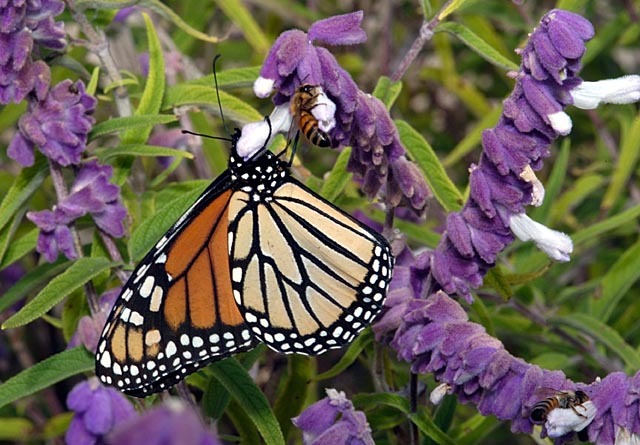 Monarch Butterfly and Two Bees on Mexican Bush Sage. Wimberley, Texas, October 2003. I previously thought the plant was Mexican Sage. Gil initially disagreed, but Doug says "That is one of the Salvia Leucantha, Mexican Bush Sages." and Gil is now on board with that! For ID purposes, February 2016. Bugguide.net classification is here. 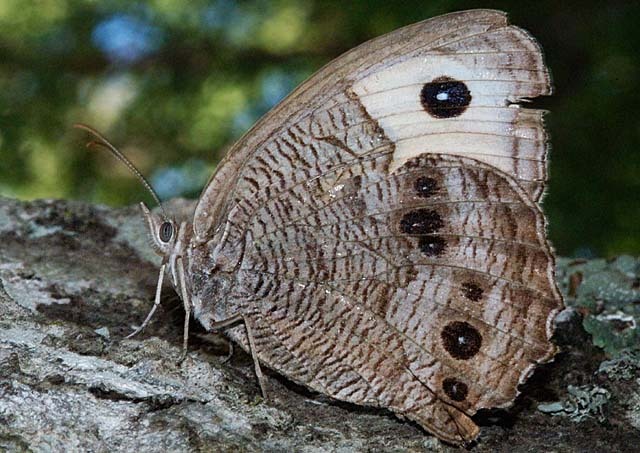 Note the common wood nymph butterfly picture above shows the spots on the wings. Those look a bit like eyes. Birds will go for the eyes of something they're eating first. 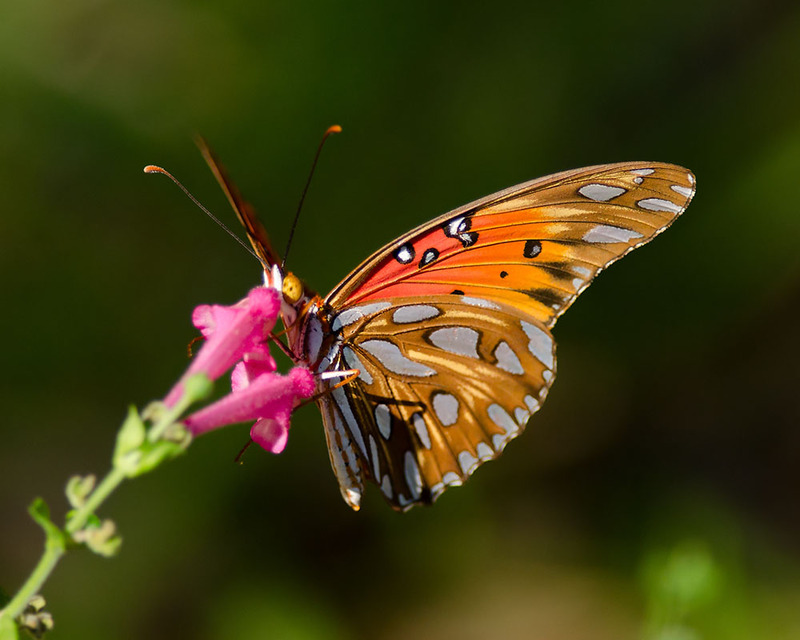 Thus, this is a defense mechanism for butterflies, as birds will go for the spots on the wings and not the "real" eyes. 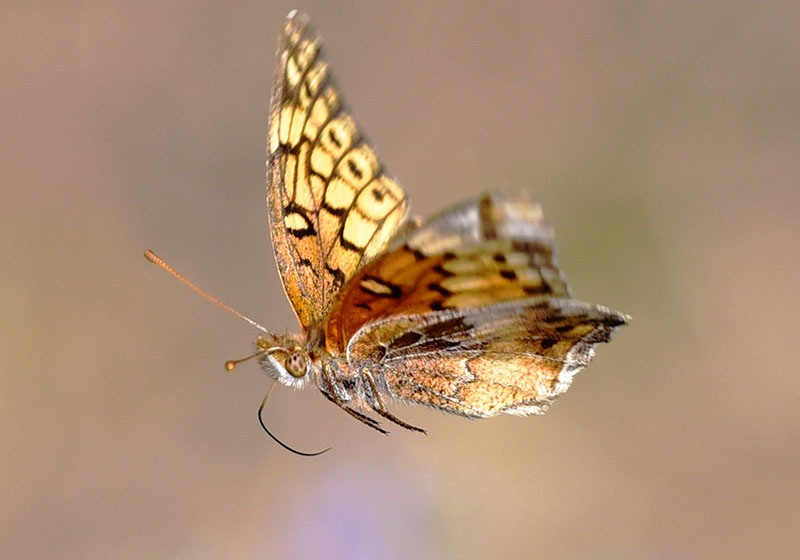 This probably explains the V-shaped hole in the upper right part of this butterfly's wings. 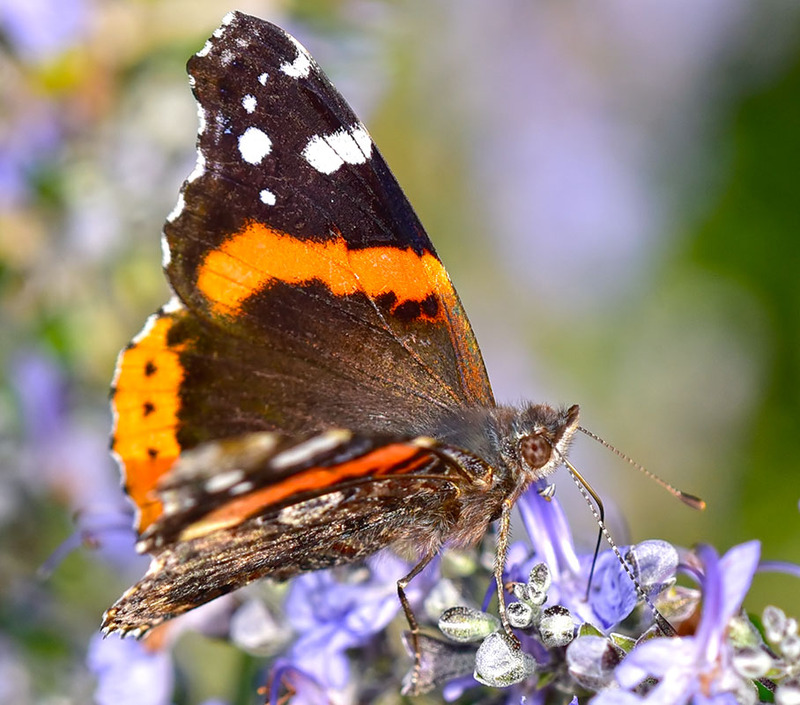 Hope you enjoyed looking at the butterfly pictures! These are a challenge to shoot as they seldom stay in one place for long.